For those cold winter months there is nothing better than being snug and cosy in front of a beautiful fireplace. 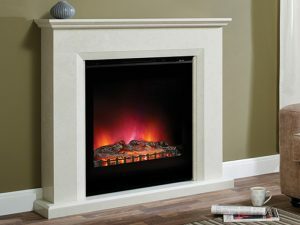 Zigi's have a wide range of fireplaces to accommodate every taste, from ornate traditional and historical fireplaces to contemporary sleek modern designs with sharp clean lines. 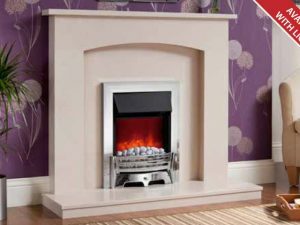 With the expert help, you’ll get from us at Zigis, choosing which type of fire and surround will be easy. 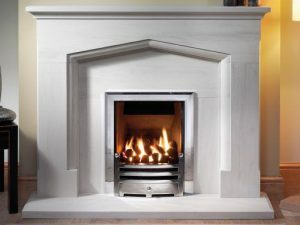 We’ll help you find the right fireplace to perfectly match the style and decor of your home from our extensive range of marble, stone and wood surrounds, and traditional and contemporary fires. Stone fire surrounds always make a statement. Like marble and wooden surrounds they can be made in any size and a variety of designs. Perhaps it is the sumptuous look and feel of the Umbrian and English Bathstone, which is the surround for you. There are two main varieties of marble surrounds. Natural marble surrounds and micro marble surrounds. Natural marble surrounds are made from marble that is unmodified and is how it came out of the ground. No two pieces are exactly the same. When you buy a natural marble surround its colouring and veining are unique. Micro marble is small pieces of real marble finely crushed and reconstituted to give an authentic finish of natural marble but without any of the imperfections of natural marble.  Wooden fire surrounds are as popular today as they have ever been. Wooden fire surround designs come in classic traditional to modern through to contemporary and come in many wood shades such as oaks, mahoganies to bold colours. 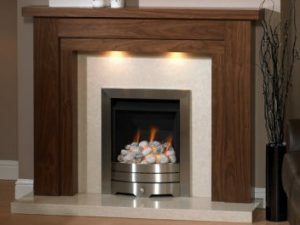 Wooden fire surrounds can be fitted with any existing marble or granite, making the complete surround very personal to you. 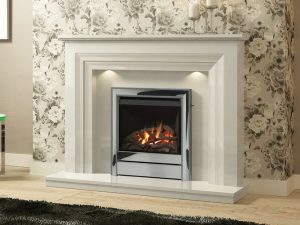 We also supply matching fireplace suites which include mirrors and occasional tables to help set the complete scene. 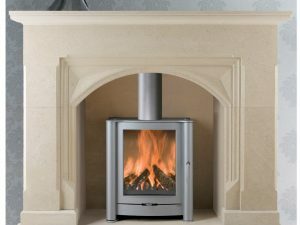 Whatever your needs, please feel free to contact us or call into one of our showrooms and see our comprehensive display of fires and fire surrounds and a full selection of swatches. 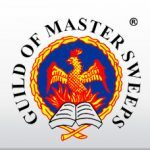 Our friendly staff will be more than happy to answer any questions you have and discuss the right fireplace for you.